Budget Friendly | Life So Lovely. 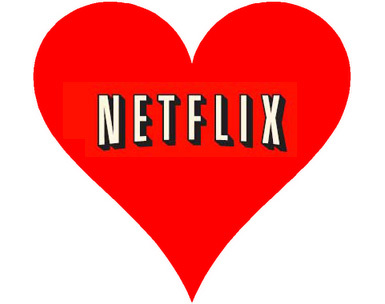 Confessions of a Netflix Junkie. Posted on September 18, 2012 by Nicole | Life So Lovely. About a year ago, we decided to cancel our cable. We didn’t watch it enough to justify spending $70+ dollars a month, so we decided to give Netflix a try…and we love it! ((We use the streaming version through our blu-ray player.)) And the best part is that we’re still able to watch our favorite shows on network TV. It’s how I unwind after everyone in the house is asleep. Not gonna lie, I’m a Netflix junkie. Another reason I love Netflix is the iPad app. I can’t tell you how many times I’ve been allowed to sleep in because we turn on Netflix for McKenzie and let her watch a Sesame Street while we catch a few more Zzzzz…sometimes that extra hour of sleep on a Saturday is heavenly! Or taking the iPad into the bathtub and soaking while watching my favorite shows…equally heavenly! Since I’m such a fiend, I thought I’d give you my top 10 picks for Netflix TV shows (in no particular order). Believe me, we’ve watched many more, but these are my faves. Please feel free to tell me any good shows I’ve missed, I’m always looking for more! Sesame Street…can’t beat the classics! You might notice that many of the kid’s shows I’ve listed are PBS Kids. That’s because PBS Kids rocks. They are often gender-neutral, light-hearted, with great life lessons and educational messages. 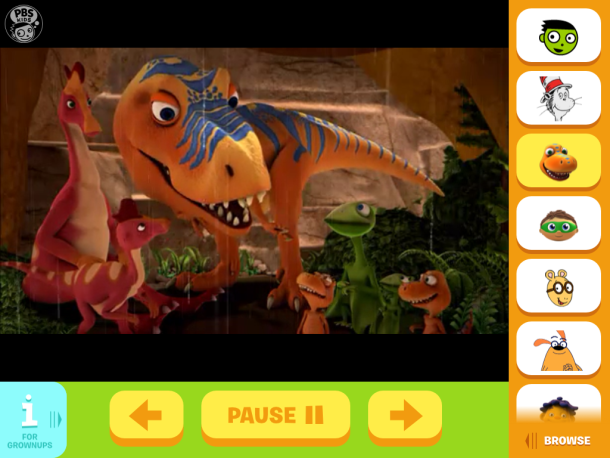 Oh, and if you have an iPad, PBS Kids has an app. *amazing* I highly recommend it. One more thing: I don’t like to use the words “hate” and “children” in the same sentence…BUT I hate the children’s show Caillou. His voice is constantly set on “whine” mode, and anytime he doesn’t get what he wants, he whines and cries until his parents give him what he wants. Gee, that’s exactly what I want to teach my kid…not. And you know what’s funny? You know you don’t have cable when…your kid asks you “What’s a commercial?” Haha, yup. *pats self on back* One less way the media influences my child. Netflix 1, Cable 0. Posted on September 14, 2012 by Nicole | Life So Lovely. I have straight hair. Very, very straight hair. So straight that if I curl it (even with hairspray), it’s flat within 10 minutes. Imagine my surprise when my daughter has fluffy, curly hair. What do I do with that? Curly hair does run in my family (my sister & dad) and on Jon’s side too, so I wasn’t horribly surprised. First thing I did was ask my sister what to do. She told me 1) never brush her hair unless it’s wet because it separates them, 2) get layers in her hair because it brings out the curls, and 3) use product for curly hair! Well, I’m still not good at it, so inevitably I always just put her hair in a ponytail. Which I do very well, if I do say so myself. But the day I snapped these photos (when we were in California) we left it down. It was pretty, but I did break rule #1, and you can tell. See what I mean when I say fluffy? I just wound her hair around my finger when it was wet to accentuate the ringlets. 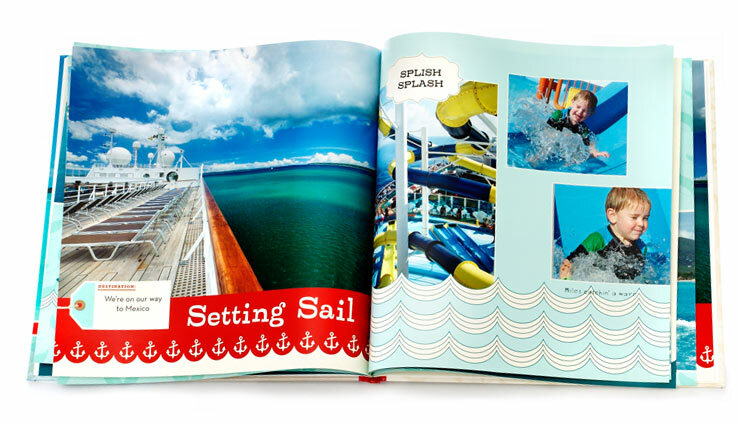 Free 8×8 Shutterfly Photo Book Code…who doesn’t love FREE? 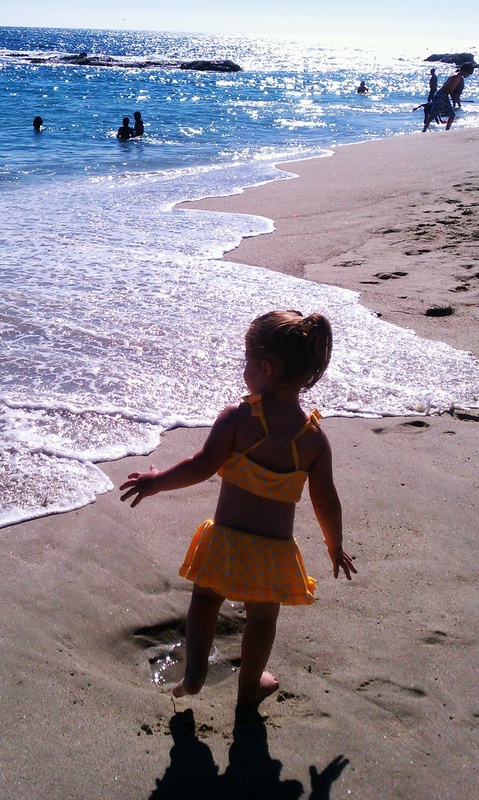 Posted on September 7, 2012 by Nicole | Life So Lovely. -Create a Story: I always thought it would be fun to create a little story with McKenzie, take pictures for it, and turn it into a Photo Book…wouldn’t that be such a fun little memory? You could either make it a project, write your own little story, and take pictures for it OR you could have your little kiddo(s) act out parts of a popular kid’s story and/or take pictures with friends to re-create it for a Photo Book (think: ToyStory, Cars, Nemo, Snow White, Cinderella, etc). It’s kinda like publishing your own book! -“A Day in the Life:” What about a Photo Book chronicling “A Day in the Life of (your kid’s name here)“? Wouldn’t it be fun to read them their own story at bedtime?! How cool would that be? This could totally work for any age too, boy or girl. I really want to do this before it gets too cold outside to take pics! I hope this gave you some good ideas for Photo Books so you can make fun, free one too! And please, you guys, let me know if any of you do idea #2! I really want to see one made this way, I think it’d be so fun! Remember, the coupon code expires Wednesday, September 12th…so you only have 5 days! Do any of you have other fun ideas for fun Photo Books? 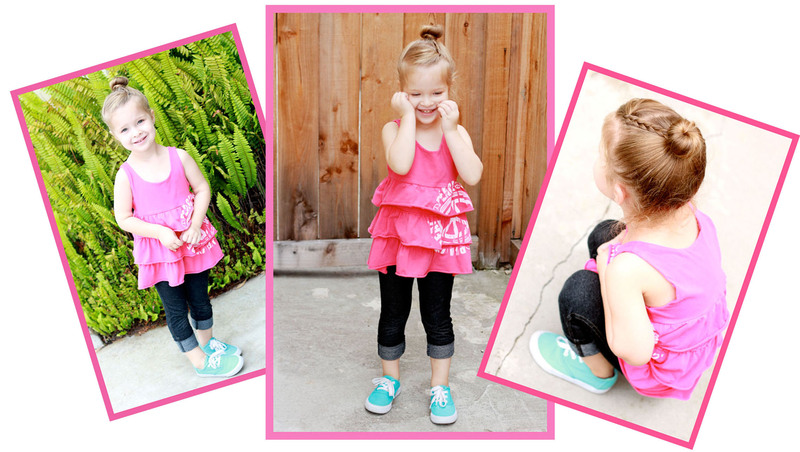 As a side note: I’m working on creating another blog as a more permanent one that I plan to use: “Life So Lovely.” I’m going to re-copy all these posts to that one…I don’t really want to be restricted to blogging about kid’s fashion, because I think I have a lot more to say. Just interesting things. Parent things. Wife things. Life things. School things. You know, just general stuff. 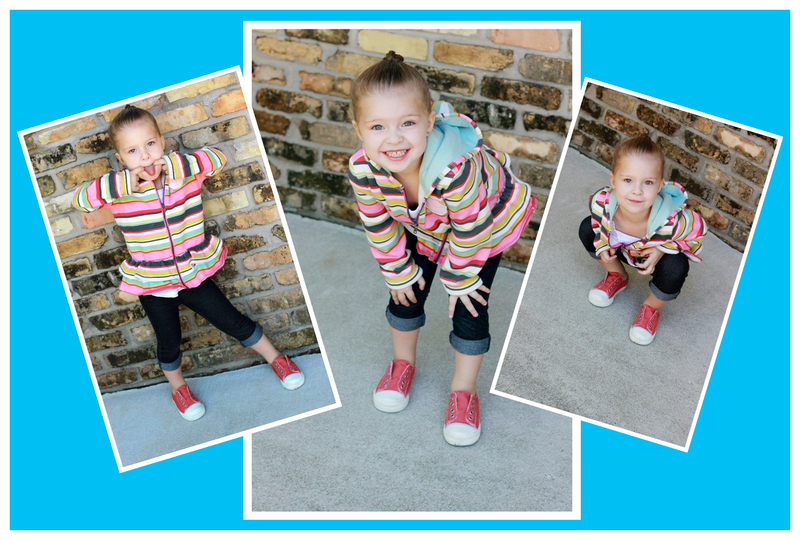 Never fear, I will always post about McKenzie and her little fashionable-self…I don’t think I can help it! Haha. I just think I’ll be able to build a longer-lasting audience if I have a less-narrow specification…ya dig? So that’s in the process. I’ll continue blogging on here until I feel ready for the big reveal of “Life So Lovely.” Stay tuned, and as always, thanks for stopping by! Posted on September 4, 2012 by Nicole | Life So Lovely. McKenzie is currently on a Barbie kick. Which is completely fine…but who knew those things are so dang expensive?! It’s at least $10 for one. In order to save a little dough, I went to our local Goodwill to check out what they available. And I lucked out! Over the course of a couple weeks, I was able to find enough Barbies for great imagination play. And at only $1.99 each, they definitely didn’t break the bank. 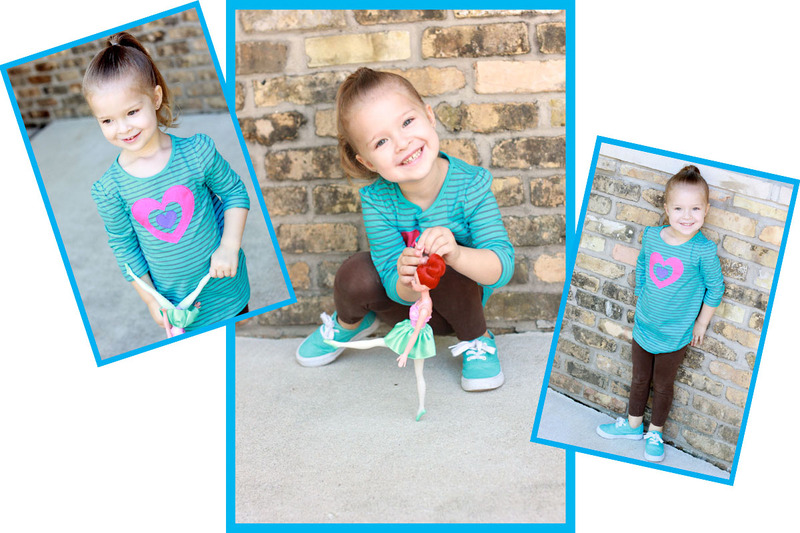 Since she’s only 4-years-old, McKenzie could care less if it’s thrifted…a new toy is a new toy! Some of the Barbies were naked, so we went to Wal-Mart and got them some new clothes ($3.27/each)…but most of them came with an outfit. So for between $1.99-$5/each she has a new barbie clan. 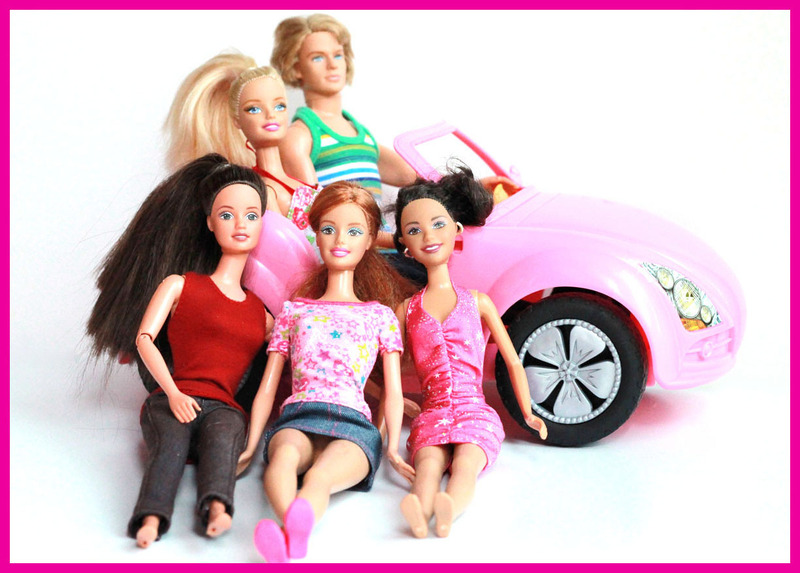 We even lucked out and found a Barbie car for $1.99! Also, in order to keep them looking nice and prevent their hair from getting tangled, I always put their hair in ponytails right away. Everything pictured cost about $25 (including the new clothes), which is at least 50% off what we would’ve spent if we bought ‘em new. If you don’t have a big selection at your local thrift store, always check Craigslist and eBay! You never know what you’ll find. Posted on September 1, 2012 by Nicole | Life So Lovely. 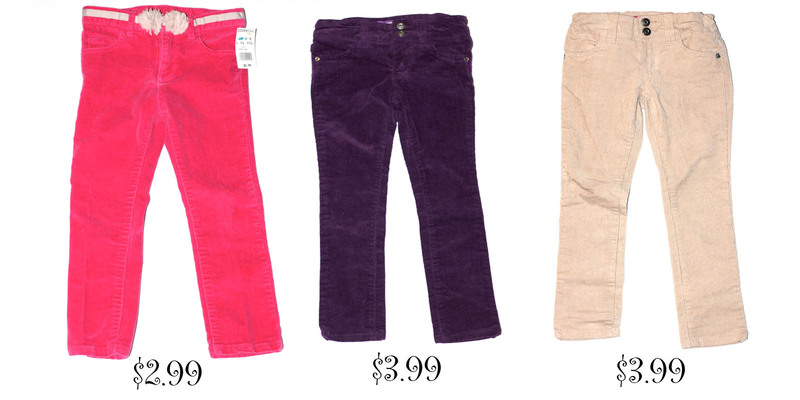 The brands for the jeans above are (left to right): Gap 1969, Genuine Kids, and Koala Kids. She only ever has about 2 pairs of jeans at a time. It’s all you really need. All the shirts I bought from Children’s Orchard were $3.99. The brands above are (left to right): Oshkosh B’Gosh, Jumping Beans, and Gymboree. The brands below are: Carter’s, Gap (obviously), and Jumping Beans. I love all the fun, bright colors! 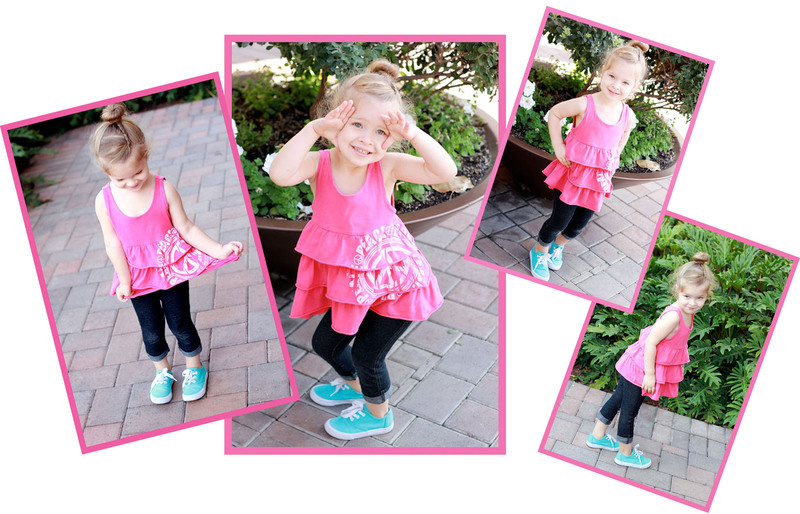 Also, I always shop for shirts to match the shoes that she already has…like these ones from Target, which I found on clearance for $2.98. That way, I always know that her shoes will match her clothes, and I can dress her quickly without putting a lot of thought into it! Makes things super-simple. Lastly, I found these amazingly cute Adidas shoes there…they are definitely brand new and they were only $7.99! They will match perfectly with the (3) new Adidas tracksuits that she got for her birthday from our good friend, Kim, in California! 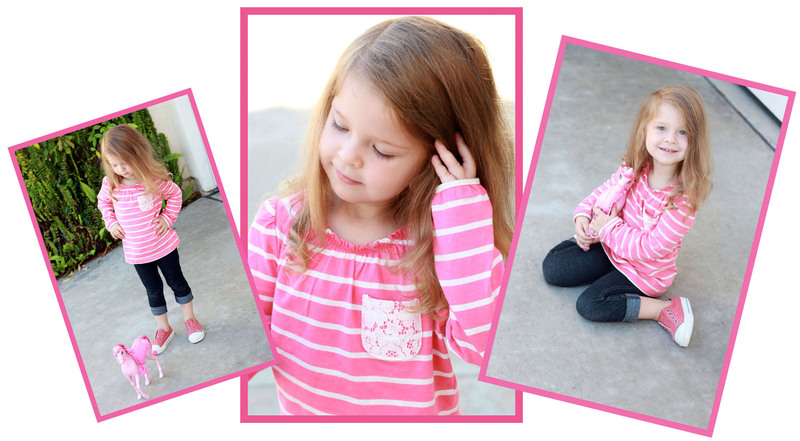 I hope this gave everyone some insight into how I shop for Kenzie…can you believe all of these clothes are used? 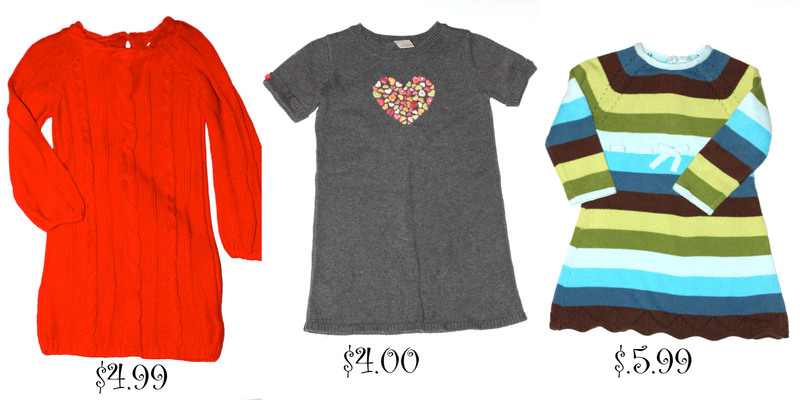 Can’t you just see all the adorable combos of outfits we can do with these pieces? If you don’t have a Children’s Orchard near you, there are tons of private resale shops around, and I shop at Goodwill all the time! I’m very picky though (I won’t get clothes if they look too worn), and I shop for the look of the clothes, not the brand. And even check Craigslist! 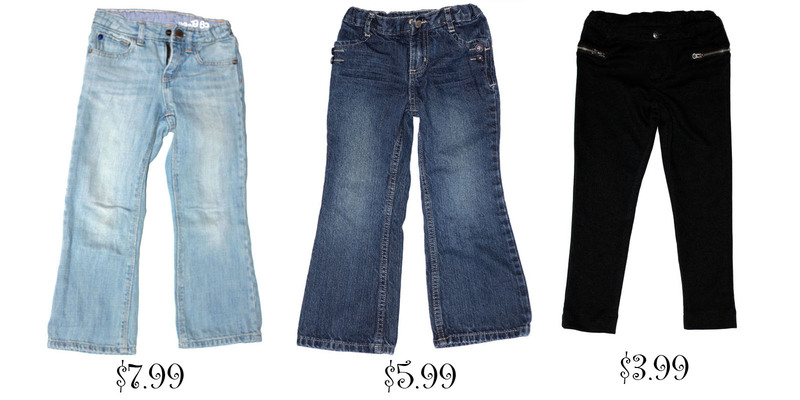 You can get great deals on kid’s clothes. So you see, guys, I’m not cheap…I’m thrifty. ;) Oh, and thanks for all the birthday wishes already on FB! Y’all know how to make a girl feel special.